After speaking to a friend who had already purchased a solar power system from Energy Matters, Michael Stebbings knew he had found the perfect investment for his retirement. For the Stebbings, keeping their two-story home warm during the cold winter months is one of the biggest contributors to their electricity consumption. In addition, Mrs Stebbings runs her business, a day care centre, on the property. The pair was facing power bills of around $700 per quarter. Since their solar system was switched on, the Stebbings have been producing approximately 7,300kW hours, totaling around $1,650 worth of power over six months on Tasmania’s 22.5c feed in tariff. “In the best week the system produced $97 worth of power”, Mr Stebbings said proudly. Generating a return better than most interest rates available and with more security than shares, Mr Stebbings is pretty happy with his investment. 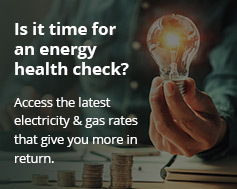 Join Mr. Stebbings and thousands of other Australians who are wiping out their electricity bills with a solar energy system from Energy Matters! View our current specials or get an instant online solar quote.